The Taj Mahal in India was commissioned in 1632 to house the tomb of Mumtaz Mahal, the wife of the Mughal emperor, Shah Jahan. The construction of the ivory-white marble mausoleum was only completed in 1643, over a decade later. Even then, several other phases of the project continued for the next 10 years. It was only in 1653 when it was fully completed. At the time, the cost of the construction was estimated to be 32 million rupees. If adjusted in today’s currency, it would be around 52.8 billion rupees or US $827 million. It was designated as a UNESCO World Heritage Site in 1983. It also attracts 7-8 million visitors each year. Considering that many other structures that were built during those times are now gone, it is amazing to see that Taj Mahal remains standing. Visiting the site right now, you won’t believe that it was built centuries ago. There’s no wonder why the Indian government has announced that the Taj Mahal might soon be unavailable for tourists to give way for maintenance. The exterior of the palace no longer looks the same as it used to be. It could also be due to the number of people who go in and out of it. The four towers have started to turn yellow in color. 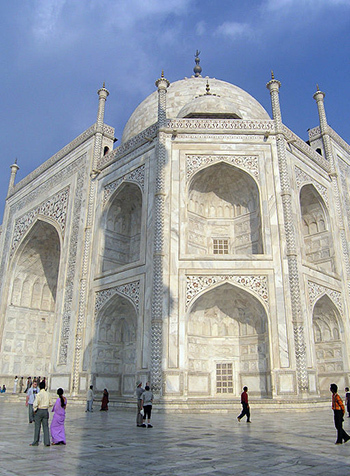 If no action was taken, Taj Mahal could be permanently damaged. If you visit the site now, there is mudpack covering certain portions of the structure. It intends to restore the ivory-white color it used to have. It could be disappointing, but the goal is to preserve Taj Mahal. Cleaning works are also underway. An anti-corroding and non-abrasive technique will be applied to avoid damaging the original materials. Parts of the wall were also cleaned up in 1994, 2001 and 2008. This time, a more scientific technique will be used. The restoration project is expected to be completed by 2018. Obviously, the scaffolding on the minarets has affected the view. This gained an even bigger international attention when Britain’s Prince William and Kate Middleton visited the site. At the background, the scaffolding can be seen. However, the maintenance is already underway and they just couldn’t remove it for the photo session. The country’s tourism sector is also worried that if they don’t do anything to hasten the maintenance, they could expect fewer visitors to travel. 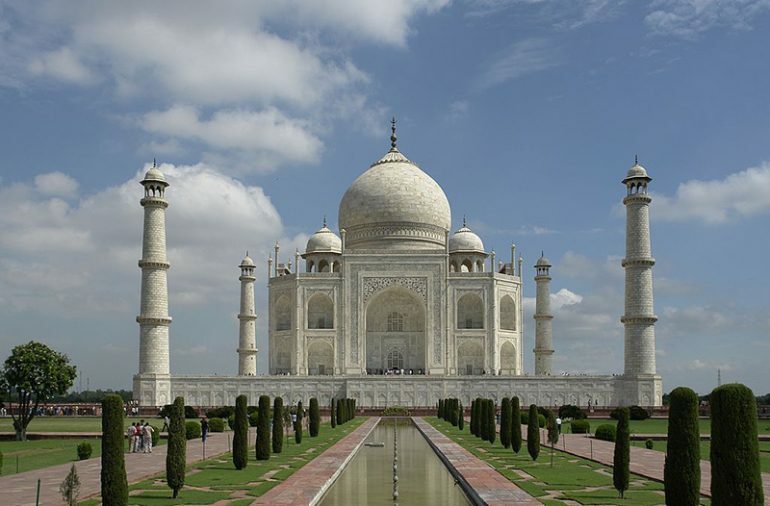 The Taj Mahal is the most popular site in India, and one of the reasons why people visit the country. No one wants to see the structure with scaffolding in it. The beauty of Taj Mahal lies on its overall view. Travel agencies are getting worried that if the maintenance reaches the main dome, it could take away the structure’s charm and will affect the industry even longer. They suggest that the maintenance period be cut shorter or be completed immediately. Taj Mahal is not just a stunning work of art. It is also an expression of love. People have come and go, but the structure remained. If tourism has to be cut for a year or two, it is a small price to pay. After all, we want our children and grandchildren to still have the opportunity to see the structure in its full glory. We need to be a bit more patient as maintenance continues. Rest assured, we can appreciate it better once it has been restored.